Over the last year or so, there hasn’t been enough product differentiation from both ATI and Nvidia’s graphics card partners. In some cases, the board partners have been referred to as sticker partners because it seems like all they’ve done to the reference card is change the sticker on the heatsink, whether it’s a particularly good or bad one. This has meant that the cheapest product always wins, whether or not it is actually the best – the same has happened with online retailers in some cases, too. Cheaper products means there are lower margins; when the margins get too tight, something has to give, and that something is usually customer service. When that goes down the toilet, it’s the start of a rather long and drawn out flushing cycle. However, before this review sinks any further into the gutter, we should get back to the topic in question... free of distractions. I promise that there won’t be any more toilet analogies along the way, too. In a move to distance itself from the pack, Inno3D announced a new premium brand of graphics cards under the cloak of the ‘iChiLL’ series back in the middle of January. Currently, the line-up covers GeForce 7-series cards from GeForce 7300 GT right the way up to GeForce 7950 GT that feature aftermarket cooling solutions from both Zalman and Arctic Cooling. There’s plenty of choice available too – just have a look down the iChiLL series product page to see the range of choices available. 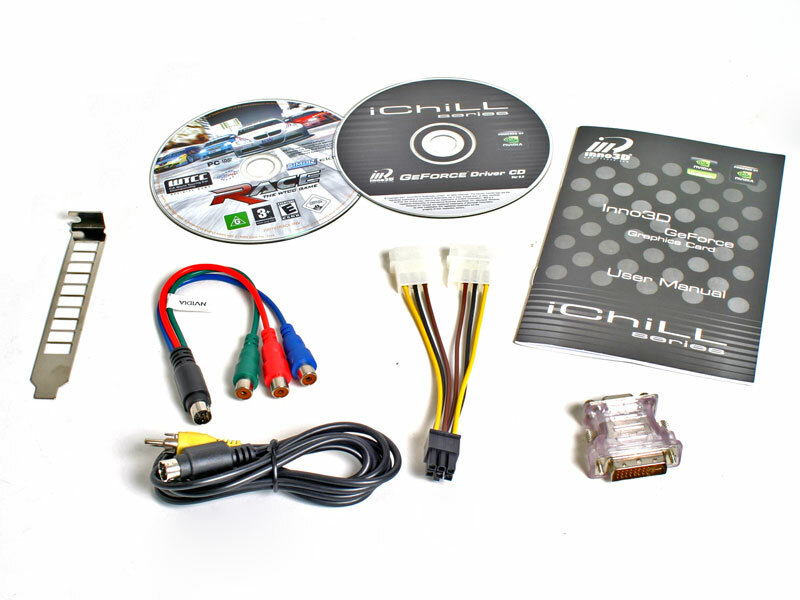 The company tells us that it has plans to expand the iChiLL line-up going forwards, but we haven’t been given details on where Inno3D plans to expand just yet. 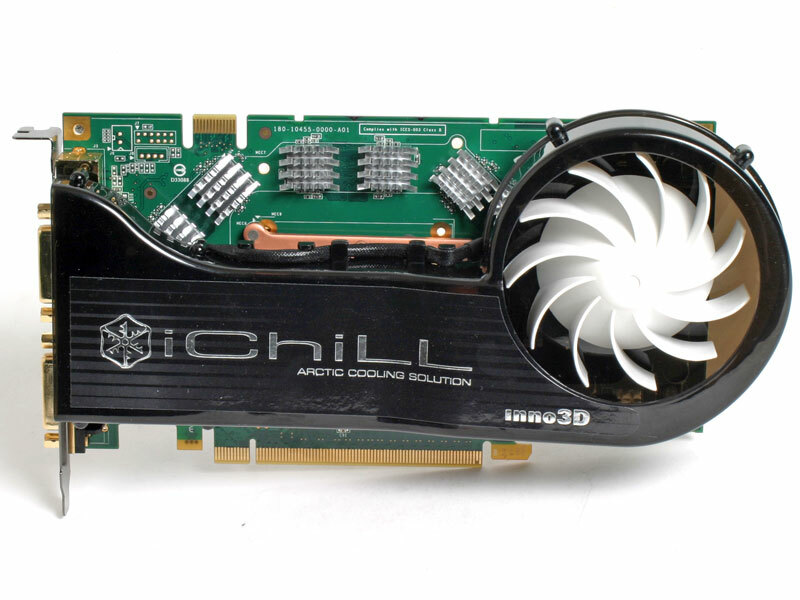 Today, we have Inno3D’s GeForce 7900 GS iChiLL card fitted with an Arctic Cooling Silencer 6 on the test bench; let’s find out how it gets on. The box design is certainly a departure from Inno3D’s standard box design that we’ve seen with the company’s GeForce 7900 GS and 7950 GT cards that we looked at last year. Instead of the card being secured between some folded cardboard, Inno3D has opted to enclose the card in a vacuum formed plastic cam shell. This obviously holds the card more securely, and it’s less likely to result in a damaged card if the courier decides to play football with it during shipping. On the cables front, there’s a fairly standard selection of cables including S-Video, Composite, Component and a six-pin PCI-Express power adapter. 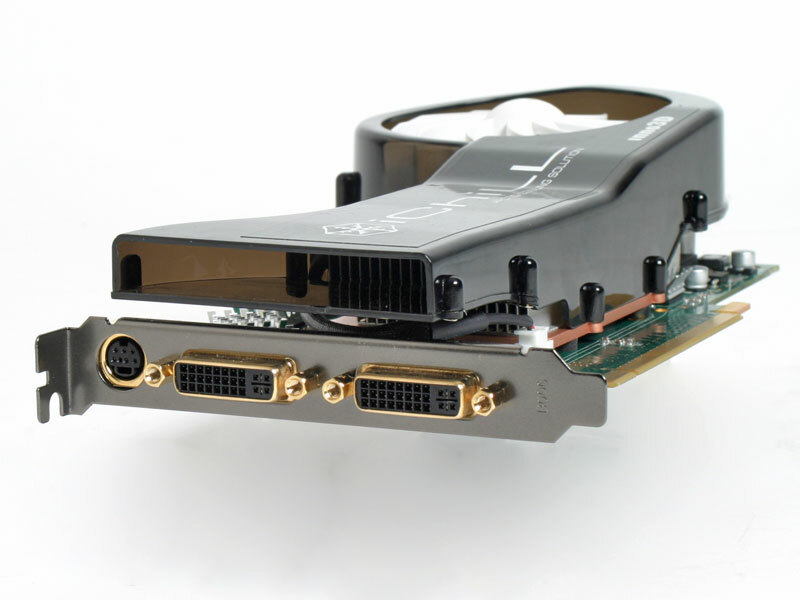 Despite this card being part of Inno3D’s premium brand, there is only one DVI-to-VGA adapter in the box – this is a cost-cutting trend that we’ve started to see happening with a number of manufacturers. For many, it isn’t an issue, but for some that don’t have one from a previous purchase, they’re going to have to go and buy a second. Inno3D has overclocked its GeForce 7900 GS iChiLL quite heavily, with healthy increases of 100MHz on the core clock and 180MHz on the memory from 450/1320MHz to 550/1500MHz respectively. These clock speed enhancements should undoubtedly result in a decent performance increase over the standard Nvidia GeForce 7900 GS. The increased clock speeds are obviously going to result in more heat being generated by the card. Innovision has combated this problem with the introduction of Arctic Cooling’s well-respected Silencer 6 graphics cooler. 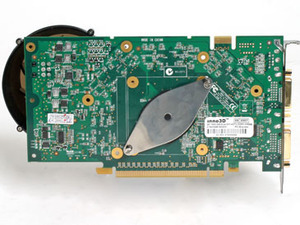 This turns the original single-slot GeForce 7900 GS into a dual slot card. While this won’t be an issue for most, it’s worth considering if you’re going to be installing the card in a confined space. Continuing the tradition with all graphics cards we’ve tested that use an Arctic Cooling Silencer cooler, Inno3D’s iChiLL is whisper quiet during operation. The fan’s pitch didn’t noticeably change when the card was heavily loaded whether it was running at its default clocks, or when overclocked beyond its factory settings. Being a premium brand, Inno3D has spent some time giving the card a bit of a makeover. The company has added gold-plated DVI and TV-out connectors (incidentally, the former isn't HDCP enabled), along with a bolt gun metal PCI bracket to give a somewhat unique look to the ports on the back of your chassis. One thing that I really feel Inno3D has missed the opportunity to change was the colour of the PCB – it just seems to stick out like a sore thumb in green. It needs the same black treatment that the DVI ports received. It’s a shame, because I feel it ruins the look of an otherwise good looking graphics card (if there is such a thing). 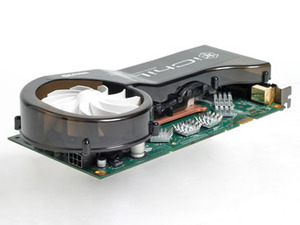 Normally, Inno3D offers a two year parts and labour warranty with its graphics cards. However, it has extended the warranty on its iChiLL range to three years – this is great to see, and it should help Innovision to differentiate itself from the pack a little. During the first year, you should contact your retailer, and after that you should communicate directly with Inno3D’s support team. If for some reason you are unable to get hold of the place where you bought the card from, you should contact the board partner directly. We take Inno3D's GeForce 8600 GTS iChiLL Xstriker3 for a spin to find out if it brings anything new to the table. 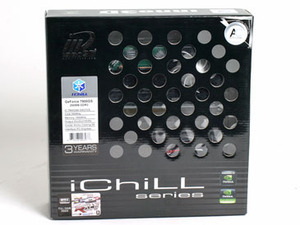 It's factory overclocked, comes with an interesting cooler and an extended warranty. It all sounds good on paper, so could this be the GeForce 8600 GTS to get? Are you looking to upgrade to a GeForce 8800-series card in the future, but don't know where to start? We round up a selection of GeForce 8800-series cards that have turned up in the bit-tech offices over the last month or so.